Dr. Rangwala’s research focuses on data mining and their applications in learning sciences, bioinformatics and bioengineering. Dr. Rangwala is the recipient of the 2013 NSF Early Career Faculty Award and the NSF BIGDATA award related to educational data mining. For his commitment to teaching and undergraduate research, the PI was awarded the University wide teaching award in 2014. Since Fall 2009, the PI has mentored nine undergraduate students. This included a female, majoring in bioengineering (Eastlake) and a male African-American minority student (Tolbert). Tolbert was funded under a NSF REU supplement with another project. Eastlake has co-authored a study related to ultrasound image mining. The PI has also advised 4 high school students. In Fall 2011, Tao (high school mentee) won a place in the Siemens Science Regional Finals. The PI, along with two other faculty members received a $20,000 award from GMU to integrate inquiry-based learning and undergraduate research into the curriculum. From Spring 2015 to Spring 2016 the PI mentored Mr. LaPierre (B.S. in CS student) who developed a scalable clustering algorithm for analyzing large volumes of DNA sequence data. Mr. LaPierre received an honorable mention for his application to the NSF Graduate Fellowship Research Program and is currently pursuing a Ph.D. at University of California, Los Angeles. In Summer 2016, the PI mentored four undergraduate students in their second year of study at GMU. Two of these recruited students were women. These students contributed to the design and development of new interfaces for presenting the output of the grade prediction and early warning systems. The PI will devote time and energy towards the administrative and logistical issues around running a collaborative and inter-disciplinary REU Site Program. Dr. Snyder’s research background is in type theory and languages. He now teaches programming courses including introductory programming (in Python3), object-oriented programming (in Java), Computer Systems and Programming (in C and x86-64), and Comparative Programming Languages (sampling many languages). These classes have upwards of 240 students in them. The department recognized him in his second year as the department’s outstanding teacher, and the university recognized him with the university-wide Teaching Excellence Award in 2016. He regularly attends the largest conference on computer science education (ACE SIGCSE) and is actively involved in developing the GMU undergraduate CS curriculum. Dr. Snyder is also assists in hiring undergraduate students as teaching assistants, inspecting applications and mapping TAs to courses in need. In a regular semester, he manages a team of upwards of ten graduate teaching assistants weekly as part of the larger introductory courses, where more than half a thousand students may be enrolled. Dr. Snyder has advised some undergraduate research projects, including (1) visualizing numeric sequences and (2) creating a rubric system to streamline and normalize the grading process. The student on these projects (Lorenz) is a female student from Kazakhstan. Dr. Snyder is also currently working on an online in-class student response system (SRS) geared towards computer science classrooms, which could become the vehicle for more undergraduate research opportunities in the REU program. Dr. Snyder will serve as the point of contact for the REU program and will manage the day-to-day operations of the summer program. Dr. Domeniconi’s research interests include machine learning with applications in text mining, educational data mining, and bioinformatics. She is currently a co-PI (PI: Dr. Aditya Johri) on an NSF funded project (Collaborative Research: Deep Insights Anytime, Anywhere (DIA2)). DIA2 is currently designed as a powerful, web-based, knowledge-mining platform for non-experts in data mining to interactively explore the National Science Foundation awards portfolio. Dr. Domeniconi has supervised and successfully published papers with three undergraduate students: Gelman, Beckley, and Sweeney. They have analyzed a large online community of creators (Scratch Online), and modeled trajectory patterns that enabled them to quantitatively analyze informal learning. Dr. Johri has overseen research by eight undergraduate students on NSF funded projects over the past six years. Student work has resulted in publications and placement in industry jobs as well as prestigious programs such as NASA Summer Scholars. In a prior REU supplement, the PI supported three students: Campbell, a senior in Kalamazoo College, MI, majoring in CS; Cherniawski, a junior at University of Mary Washington, VA, majoring in CS, and Mitchell, senior at Virginia Tech, VA, majoring in Industrial Design. Subsequently, Campbell is working with Microsoft; Cherniawski is working as a software engineer with Phoenix Integration in Virginia; and Mitchell is pursuing a dual masters degree at Virginia Tech. The research Campbell did over the summer formed the basis for her undergraduate honors thesis. Over the past year, Johri has supported three REU students, one of who has graduated and joined Lockheed Martin and two are continuing on for graduate studies. Johri will serve as a faculty mentor for immersion projects. Dr. LaToza’s research is in developer experience design, combining software engineering and human-computer interaction to investigate how developers interact with code and designs new ways to build software. He has worked with several undergraduate students, which has sometimes resulted in publications with undergraduate co-authors. For example, Eric Chiquillo developed an initial debugging feature for a programming environment and Evelina Shabani worked on a study of architectural decision practices. He has served as a mentor in George Mason University’s Aspiring Scientists Summer Internship Program (ASSIP), serving as a mentor to 17 high school and undergraduate students. ASSIP offers an intensive 7.5-week program encompassing career development activities as well as hands-on experience working on a research project. As a mentor in the program, he runs an intensive two day "bootcamp" introduction to Developer Experience Design and mentors students as they participate on research projects. Dr. Lester's research is focused on organizational change, and teaching and learning in higher education. She is currently a Co-PI on an NSF BIGDATA project (PI Rangwala). 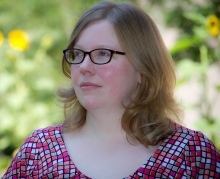 She is the recipient of multiple teaching and research awards including the GMU Teaching award. Lester has taught in the Honors College with several of her students receiving a competitive best paper award. Her engagement with undergraduate students extends to engagement in research activities. She was a recipient of a GMU Students as Scholars grant to examine diversity in higher education by engaging over 25 undergraduate students in participatory action research. Lester brings experience in the scholarship of teaching and learning, research on college student success, organizational change in higher education, and diversity. She will lead a case study workshop and participate as a faculty mentor. Dr. Lin's research interests encompass visualization and machine learning. 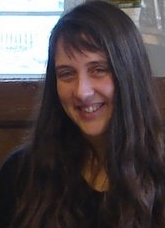 She is the PI on an NSF IIS project focused on the mining of temporal and spatio-temporal data. She has mentored one undergraduate student and two high school students since summer 2013. Since 2011, she has been working with the Center of Leadership and Community Engagement at George Mason University to explore opportunities that allow undergraduate students to amplify their education by applying what they learned in ways that benefit the local community. Students in Dr. Lin's undergraduate database class helped design and install a music database for the Music Department at GMU. She will serve as a faculty mentor for the research immersion project and help in developing tutorials. Dr. Nelson's research focuses on statistical processing with applications in communications and tracking. She received an NSF CAREER Award in 2010 and maintains an active research program in engineering education. She is the PI of a multidisciplinary NSF WIDER project focused on broadening the use of evidence-based pedagogical strategies in STEM courses and developing faculty learning community structures to sustain these pedagogical changes. Dr. Nelson is a 2014 recipient of the GMU Teaching Excellence Award. She has mentored several undergraduates through GMUs OSCAR program. In addition, she leads an OSCAR-supported Scholarship Development Grant to redesign the signals and systems curriculum within electrical and computer engineering to emphasize critical thinking and synthesis. Dr. Nelson will lead a research immersion project. As a Co-PI on the NSF funded Game Design through Mentoring and Collaboration project 2007-2011, Dr. Sheridan studied learning with technologies. Dr. Sheridan worked with over 500 middle and high school youth, primarily from under served communities, learning 3-D computer modeling, animation and interactive game design. She supported 60 high school students into more leadership roles, including mentors, assistant instructors, and instructors. Dr. Sheridan also worked with two undergraduate computer science students to design instruction and supervise the high school mentors. In her current NSF project, she co-advises one undergraduate research assistant, who is involved in data collection on children's learning through making projects at the Pittsburgh Children's Museum. 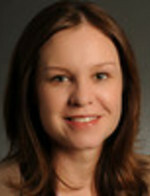 Dr. Sheridan will serve as a faculty mentor for immersion projects.